A new report finds the state’s public school districts still struggle to hire teachers despite efforts by the state to address the problem. Of school districts that responded to Indiana State University’s survey, 94 percent say they’re experiencing a teacher shortage. This year’s results are a slight uptick from last year when 92 percent of districts reported shortages. In 2015, the first year of the survey, 95 percent of superintendents reported the problem. The survey also shows a widening gap for unfilled special education teaching jobs. As of September, 69 percent of school districts reported a shortage – that is a 10 percentage point increase since 2016. “I think it is pretty conclusive that there is a shortage,” says Terry McDaniel, assistant professor of educational leadership. Educators have claimed low pay and state policies have caused fewer people to seek to become a teacher or lead them to leave the profession. The survey does not address the reasons behind a district’s inability to hire enough teachers. McDaniel says some dispute the notion of a teacher shortage. One reason, he says, is they compare the number of open teacher jobs to the number of people in the state licensed to teach. “The problem is just because you have a teacher license, doesn’t mean you are applying for teaching jobs,” he says. McDaniel conducted the survey in 2015 at the request of the Indiana Association of Public School Superintendents. He has continued the survey since then. A “blue ribbon commission” was created by the state in 2015 to recommend ways to recruit and retain teachers. 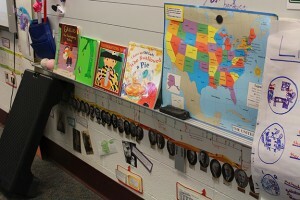 Last year, the state Department of Education held a statewide teacher recruitment conference.